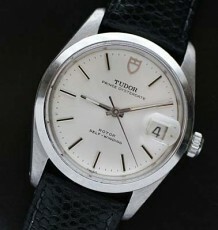 Tudor manual wind Oyster watch. 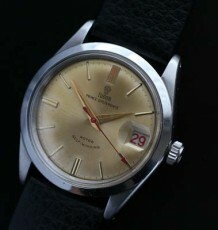 A wonderful yet affordable Tudor manual wind wristwatch, made by Rolex. 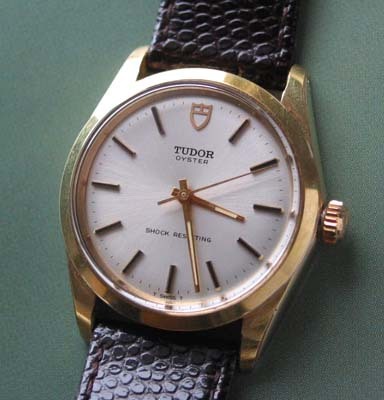 The all original satin white dial on this watch is in mint condition and is a superb contrast against the gold filled case that appears to be green gold. 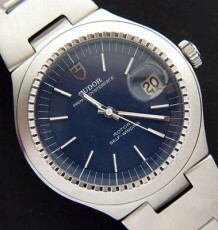 The 17 jewel manual wind Tudor movement, was just serviced by my Rolex trained watchmaker and is keeping excellent time. 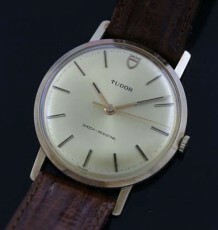 The watch measures 34mm wide by 41mm long and is supplied on a brand new black or brown padded calf leather strap.